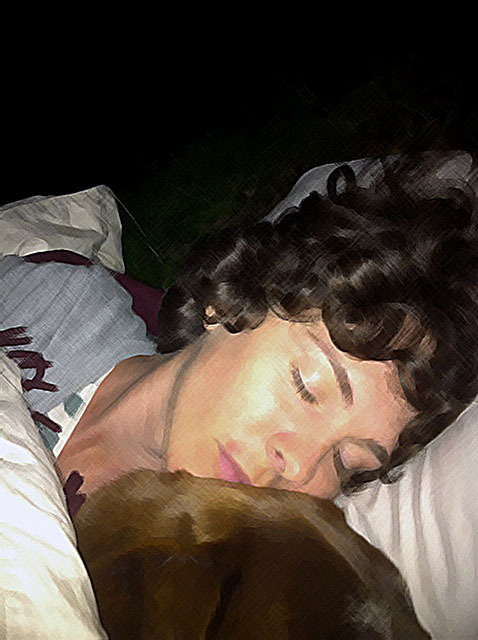 On the night of the Solstice Bello and I slept under the stars. I rode down to Kenya's house with the bike trailer loaded with a single futon, a quilt, down comforter and Bello balanced on top. I arranged our temporary home next to the goat pen and under a pear tree. I think the goats spent the night staring at us. This is what they saw. There is nothing on this earth like the smell of Bello's little head.